So you want to know how to become an RN? While there are several paths you can take to registered nurse licensure, each journey leads to a different place in the profession. 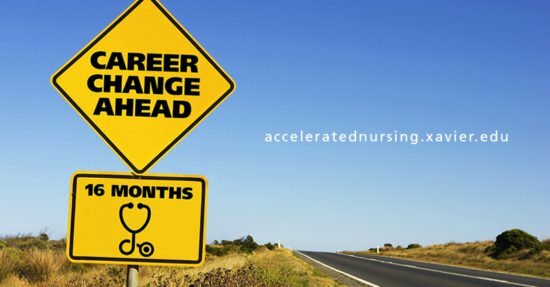 To help prepare you for the road ahead, we’ve mapped out these six vital steps to a successful nursing career. 1. Choose the right nursing degree. Whether you earn an associate degree in nursing (ADN) or a bachelor’s degree in nursing (BSN), you’re eligible to sit for the NCLEX-RN® licensure exam and pursue an entry-level registered nurse position upon passing it. However, it’s important to understand the difference between these two education options in relation to your future career goals. While both degree options teach you the competencies of nursing and provide real-world clinical experience, a BSN program dives deeper into the profession by focusing on areas such as nurse leadership, research, and public health. Therefore, BSN-prepared nurses have more opportunity for career advancement. Ongoing changes within our health care system have also created an environment where an ADN may one day become obsolete. In the past, it was common for students to earn an ADN first, with the intent of eventually pursuing a BSN. All of which makes perfect sense because, for the most part, an ADN has traditionally been a faster, more affordable way to get started in the profession. Extensive research conducted by the American Association of the Colleges of Nursing shows that the more BSN-prepared nurses a health care facility employs, the better the patient outcomes. A 2010 report on The Future of Nursing published by the Institute of Medicine called for increasing the number of BSN holders in the U.S. workforce from 50 percent to 80 percent by 2020. If you have a bachelor’s degree outside of nursing, your best bet would be to earn a BSN via a second-degree accelerated nursing program. Why? Because while an associate-level nursing education may be more affordable, the advantages are only short term. For the long haul, a BSN is going to give you a better return on your investment, not to mention reduce the overall time you’ll spend in nursing school. In fact, our ABSN program takes just 16 months to complete. 2. Apply to an accredited program. Once you’ve found a potential nursing program, it’s important to make sure it maintains accreditation from either the Accreditation Commission for Education in Nursing (ACEN) or the Commission on Collegiate Nursing Education (CCNE). These autonomous accrediting agencies serve to validate the quality and integrity of nursing programs, with the difference between the two being that CCNE does not accredit LPN, diploma, or ADN programs, whereas ACEN does. And in case you were wondering, CCNE is the accrediting body for our 16-month ABSN program. 3. Commit to your studies. Nursing school, especially when you’re in an accelerated program, is extremely challenging. You can expect to study anywhere from 40 to 60 hours a week to keep up with the compressed curriculum. Therefore, it’s important to stay organized and manage your time wisely if you’re to be successful. 4. Maximize your clinical experience. To get the most out of your clinical experiences, it’s important to network as much as possible during your clinical rotations. You just never know who might be able to help you get a job after graduation. Keep in mind that effective networking requires you (and the person you’re speaking with) to be a good listener. Listening is the best way to create synergy with others, both personally and professionally. 5. Register for and pass the NCLEX-RN exam. After you graduate from nursing school, you’ll need to contact the Board of Nursing in the state for which you plan to practice and apply for an Authorization to Test (ATT). Once you have your ATT, then you can register to take the NCLEX through Pearson VUE. While you’re not required to take the NCLEX immediately following graduation, it’s a good rule of thumb to take it within two months of earning your degree. That way those important nursing concepts will still be fresh in your mind. 6. Begin your job search. While there’s never a guarantee of employment, many of our ABSN program students receive offers for employment while still in nursing school. 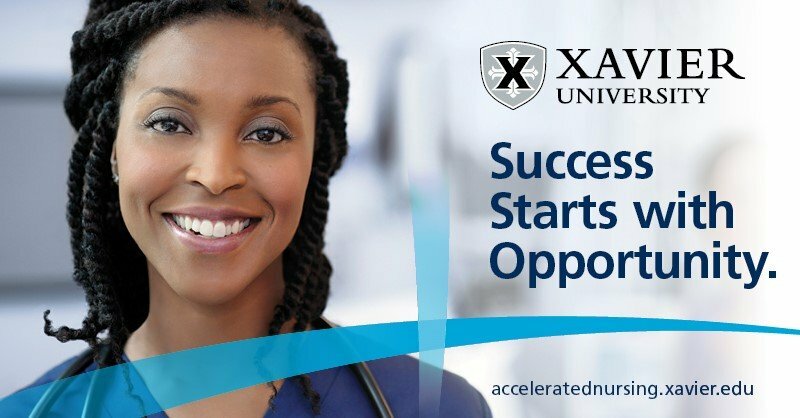 For example, Lauren, a 2018 Xavier ABSN program graduate, received a job offer from one of our clinical partners before completing her BSN. We also host employment workshops and networking sessions for our ABSN program graduates, connecting them with recruiting managers from top health care facilities in Cincinnati such as Mercy Health, TriHealth, and Cincinnati Children’s Hospital Medical Center. Ready to Become an RN? If you have a non-nursing bachelor’s degree and want to make a quick transition into the nursing profession, contact our admission team and ask about our 16-month ABSN program today!